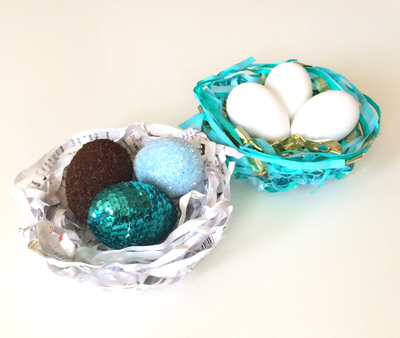 I often love to use shredded paper from the shredding machine to use for art projects. I don't think people think twice when they see the art teacher collecting 'garbage" from trash can haha. Recycling paper and cardboard tubes and turning them into art is such a nice thing to teach kids and why not use what your already have or what you plan on throwing away as a material for your next project. 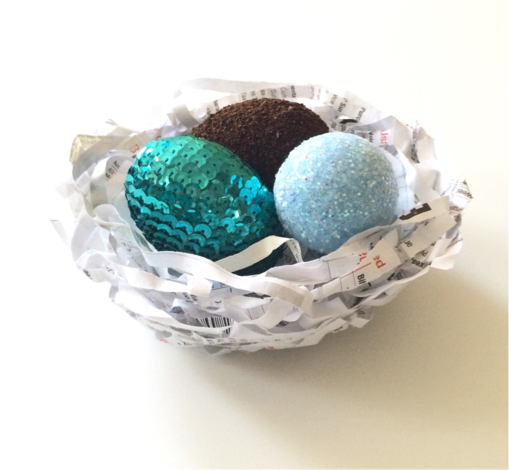 Here's a little egg nest perfect for the spring and Easter time. 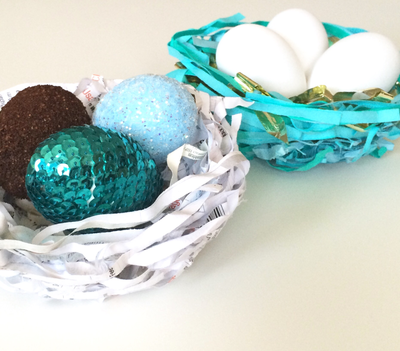 Make a little nest with your kids to place their painted eggs in. You can go here to see the full tutorial at hellowonderful.co.